Not Verified | I had a good and bad experience. Signage not poor but not good either. Initial immigration okay but do my fingerprints need to be scanned twice? Connecting gate information was very hard to find. I ended up asking the help desk. Security check fine. Okay. When I left Newark the said my bag was checked through to Shenzhen, so I didn't pickup my bag in BJ. And most airports you are directed where you have to pickup your bag and signage is crystal clear. Here signage was weak and if I wanted my bag I had to go out into normal baggage claim and outside security. So on arrival it didn't occur to me (like any other int'l arrival you always get your bag) to get my bag. So I continue to gate. It kept eating at me that this wasn't right. So I went to the help desk (right before boarding) and confirmed I needed my bag, told me exactly what to do. She contacted airlline on the spot and let them know. On way to bag claim (knowing my bag would not be on carousel), grabbed young man and he got me to baggage office quickly, also contacted airline to hold flight. After 10 minutes found my bag off in some hallway somewhere and he got me on track. Signage is so - so, but these 2 people were absolutely fantastic and while I was last person on-board - I made it. "issue was the customs staff"
Not Verified | Miserable. Landed at 1 pm in Beijing, immediately after arriving we were rushed through the walkway by the staff, walk to immigration was a bit long but alright. The issue was the customs staff, very unprofessional and unfriendly. After checking through customs you had to take a very slow train to the other side of the terminal, very slow and not frequent. Bathrooms were filled with cigarette smells. Not a good airport to land at despite it being built recently. Would not recommend. ❌ Not Verified | Transiting here is not pleasant at all. You would expect to get to the international transit sector, get a security check and then go to your gate. Well, yes, but first they have to check your boarding pass and put a stamp on it, then you are allowed to go to the next desk where they don't tell you anything (maybe it is also the lack of English knowledge everywhere on this airport), just take your boarding pass and get another stamp on it, plus they get your photo. When you think you are done and go through security, you have to wait because there is only one scanner and to many people transiting, so you wait again. At security, your bag just gets emptied by the security officer, without any pre-notification and they carefully check not only the liquids, but the power banks you are using for your mobile phone, since some of them with to big capacity are being confiscated. I was lucky, but in front of me, a guy wasn't because his was "too big". After that you can finally go to the terminal area where you should get a WiFi code from registering at the information office. The duty free shops are plenty, offering mostly the same thing: alcohol and cigarettes which are cheaper than anywhere else. Not the Cuban cigars, though. The restaurants offer decent food, way better than Europe i might say at reasonable prices. The terminal building is huge and modern but makes travelling between gates difficult. Seating areas are very good and one can catch a sleep on them, very comfy. ❌ Not Verified | I haven’t been to every airport in the world, but I’m pretty sure this one is the worst! The service people are extremely rude, the officer lady at the transit booth literally threw my passport back at my face, all scrunched up! Customs and security are deliberately slow. One lady took the time to rearrange lighters on her desk before letting me in. That is just insulting! Please train your staff, I feel wronged. Even the barista at the Costa coffee was rude, she couldn’t warm up the muffins I bought from her. What a service! I am coming back on my way back, and am already dreading the experience! "worst airport I’ve ever been at"
✅ Trip Verified | The worst airport I’ve ever been at. We had hotel reservations due to a 21 hour layover. Arrived in Beijing at 1:25 AM. Almost everything was closed. We went thru immigration and security numerous times. The workers kept screaming at us “no out“. meaning we couldn’t leave the airport. We told them we wanted to use the 72 hour entry. Again no out. Finally someone who spoke a little English. We showed him the 72 hour entry online. He said only if our flight is more than 24 hours away. He kept telling security they dont have to be rude. We went thru security over and over again. Each time they grabbed items out of your bags and threw them into bins saying no lighters, no chargers. We never got to our hotel. We spent 21 hours walking around the airport. Nobody told us there was a hotel in the airport. We found it ourself after 14 hours. My friend and I got separated. She asked someone to page me. One sent me to another place. All employees go out of their way not to help you. "immigration officers on a power trip"
✅ Trip Verified | Slow immigration officers on a power trip who massaged and looked through every single page of my passport. Took their time to waste your time even when informed your plane is boarding now. Gave you attitude by demanding you try and look like your passport photo and asked you to write your Chinese name when none of your documents had your Chinese name on it. I could have made up a name and they couldn't even read traditional. Useless security officers don't even bother to move a muscle when informed you are late to board and need to move to the front of the line. Had to beg other passengers if I could go in front of them. Asked if I had an umbrella, lighter, medication, hand lotion, battery, laptop, coin purse, etc. If I had any i would have to take them all out and put them into separate boxes. Archaic and slow system. Security almost always scans and touches you. Do not miss your flight or you will have to start all the way at the check in counter! Gates are very far away and far apart! "signs are not easy to find"
✅ Trip Verified | Camera unfriendly security check, every lens, charger, strobe had to be taken out for screening. Seems their x-ray could not scan any items in the bag and they have to scan everything in the tray. The signs are not easy to find. Some public areas are very dusty. Airport WiFi does not work on the MacBook, could not login at all. ✅ Trip Verified | On the same day, I forgot the departure time of the flight. 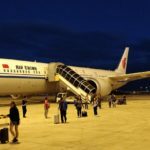 When I arrived at the Hainan Airlines VIP counter of Terminal 1, it was only 3 minutes from boarding time. VIP counter staff are very friendly to check in for me and help me pass security check. The boarding pass is very smooth。 What a wonderful journey. ❎ Not Verified | Business trip. Despite the cost I will never step foot in Beijing again! Unnecessary, in your face security despite how gracious your manner or how fluent one is in Chinese. Felt as though they were putting on a show and/or I was being provoked. This for both my flight to/from Tokyo. Never again. Just don’t. 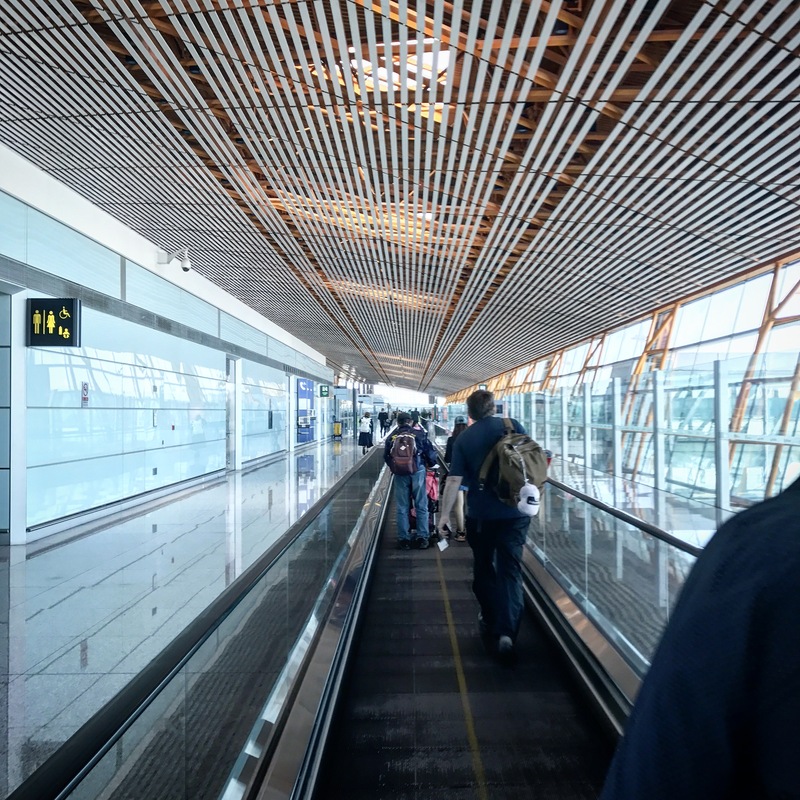 ✅ Trip Verified | I was traveling from Tokyo to London and had a connection in Beijing airport (PEK) and experienced unprofessional security, everyone is given a full body pat down). 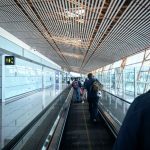 It seemed that the staff were not trained enough to deal with the amounts of people who have an international connection within the airport. I had a 13:40 boarding time and I was just about passing the check at 13:30 (after about 2 hours in the line) which gave me just 10 minutes to find my gate, get some food and go to the toilet. 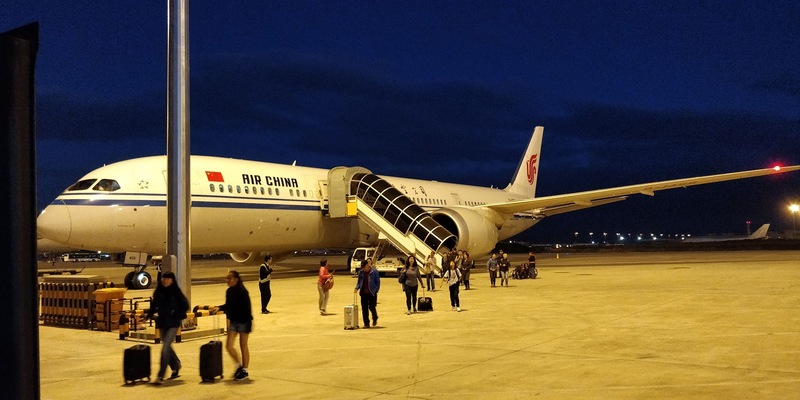 It was unorganised and I would not recommend, I would rather spend the extra money to get a direct flight to my destination than connect in Beijing.